No Fenders -Formula 1, IndyCar and A Whole lot more..: AUTOS: This Ferrari Supercar will Knock You Out! 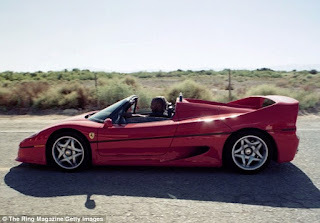 Uhm, the article drowning in BoxerSpeak' was hanging onto the ropes over one of "Iron Mike's" past Ferrari's going underneath the Hammer recently at Amelia Island, for which I've got ZERO idea what somebody paid for a Ferrari F50 formerly owned by Mike Tyson? Presumably part of the same auction I've previously mentioned where that ex-Le Mans Mazda 4-rotor Beast headlined the sale. As somehow, I doubt much noise was being made about the recent lawsuit accusing a Florida Ferrari Dealer from allegedly rolling back an odometer on one of its Supercar's to increase its value. 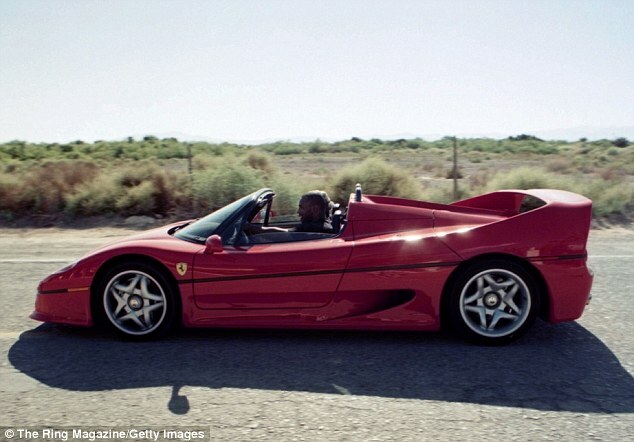 As Yuhs better NOT let Iron Mike catch Yuhs messing' with his ex-Ferrari; Hooah! As NO idea if Ferris Bueller; Bueller? Was involved in helping the alleged la Ferrari's odometer being rolled back? Meanwhile, another ex-celebrity Ferrari I scribbled 'bout previously here in Nofendersville has been sold for roughly double its current value at a recent auction in Scottsdale, during Arizona "Sweeps Week" for the plethora 'O auctions occurring in The Valley of The Sun during the month of January.